Life Cycle is a health App, which can record your schedule and habits, and then clearly show your activities in a day. The most distinctive part of this App is that it directly shows the activities in a day with a pie chart. You can find Pie chart component in Mockplus. Double click it to edit the percentage and color. In this sample, to show the real effect of this App, I use Shape and Line Pie Chart and also the Bar chart. 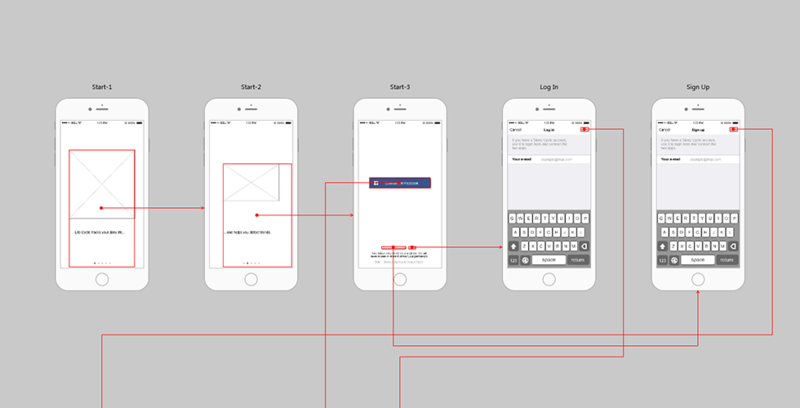 Pages of this prototype: Guide, Login/Signup, Home, Data, Settings, etc.